Every web master, creating your website, you want to make it popular. This requires that your site learned the maximum number of users in the network. Therefore your website you need to make sure in the directory of Google. Start any browser that is convenient to you to use (Opera, Firefox, Internet Explorer, Google Chrome or Safari). 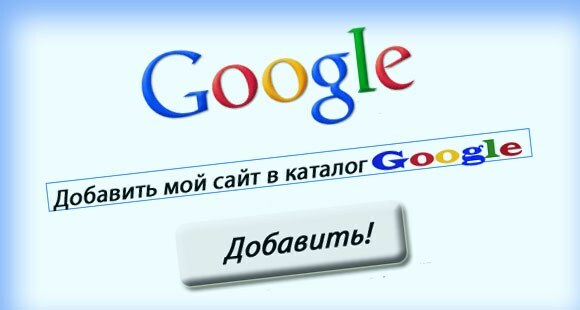 In the address bar type www.google.ru/addurl and go to the page. On the left you will see a description web Google tools, and the right box to login. At the top right of the page you will see the inscription: "to Register a new Google account". Click on it to navigate to the registration page where you will see six fields to fill in. In the first field enter the address of your mailbox on Google. The next two enter and confirm the desired password. Complete the remaining fields and click "I Accept. Create my account". Sign in to your account. You will see a page that says "Scan a URL" under it is a small text and a few fields to fill in. The first "URL" and the second is the test by which the system learns about what the website in the directory puts a person, not a robot. In the first type the address of your websiteand you want to add to the indexing search engine. In the second box you need to enter the symbols shown above the data field. If the symbols are poorly legible, update them by clicking right on the picture of the two looped arrows. When both fields are filled, click send request. After sending a query at the top will display "Your request was received and will be processed shortly". If needed, you can add some basic, filled with good content pages of the website. This is not necessary, but can play a positive role. Your work here is to add the websiteand in the directory of Google is over and now just have to wait. Within a few weeks your website will appear in search results of Google queries. Before you spend adding a site to the directory of the search engine, check values written in a text file robots.txt. If your site is built on a free resource, it is likely that it will be spelled out values, prohibiting the indexing of the site. Change the values as desired. Do not add the site to directories until until you fill it with content.